In a weekend of terrific music from local bands and musicians playing Dayton Music Festival around town, indie electronic shoegaze dynamo Goodnight Goodnight performed at Southpark Tavern on Saturday night. Playing several stellar tracks from their latest record Control, a cover of Bat for Lashes ‘Laura’ and a new song that the crowd much appreciated, this was a great show! Goodnight Goodnight has been on a regional tour and the band has never sounded as tight and well, controlled as they did this past weekend. It is better to refer to the songs as compositions rather than songs because of the significant textures that go into the sonic soundscapes they create. Todd Herbert on keyboards and effects creates rhythms, melodies and fills that draw comparisons to Depeche Mode and New Order. Gary Thornton’s guitar playing and tone remind one of early Cure. Larry Evans on bass guitar adds exciting dimension to the songs. Amanda Thornton’s vocal are both emotionally powerful and light and ethereal all at once. If you get an opportunity to see them, which we highly recommend, It will be a goodnight indeed. This week we focus on Crackpot who will be playing at Dayton’s own South Park Tavern Tuesday night! We will play several songs from their terrific album, Call It What You Want! So, after the show join us at South Park Tavern around 9pm for some great live music from a terrific Chicago band. 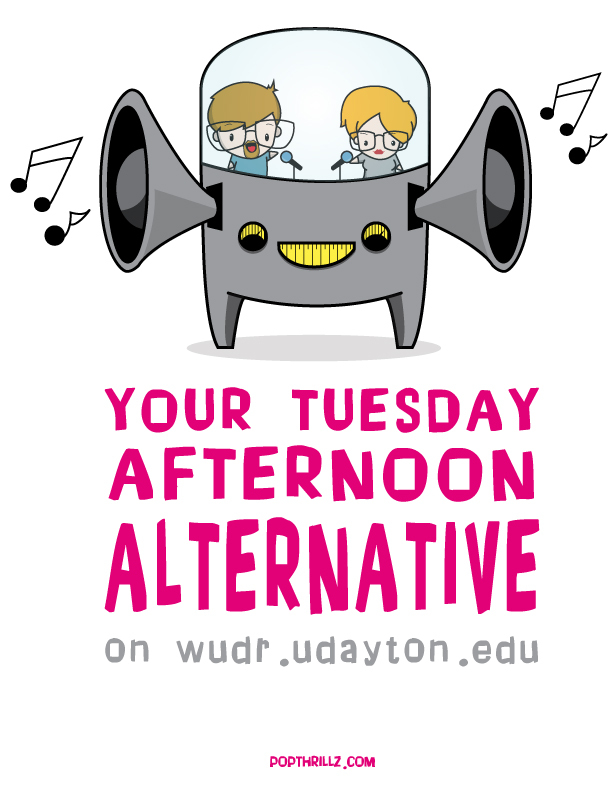 Ok, Dayton let’s see what you are made of — join us for some great indie music from 3-6pm and then come with us at 9pm for some live indie music. And, yeah you can expect copious amounts of new music and bands who played SxSW. We will also be talking about several great shows coming our way in the Dayton area — so, take some time away from Basketball and join us tomorrow! 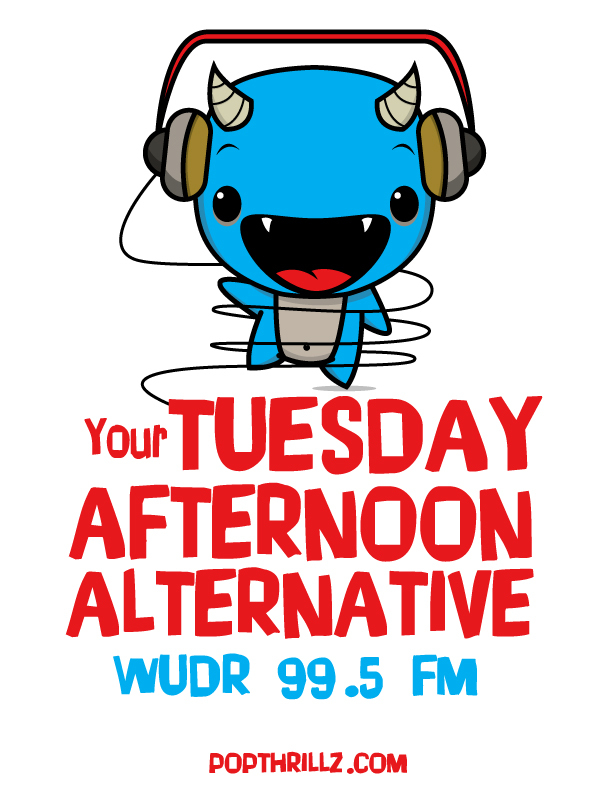 You can listen at WUDR or via the new UD Mobile App that is now available! There are show that capture your attention and you have to talk about them. You must share your experience as quickly as you can with as many fellow music lovers as you can find. Tonight, we had such an experience. Earlier this evening the Athens, Ohio group The Ridges finished off their current tour with a stop in Dayton – home base for Mrs. Dr. J and Dr. J. We have seen this band perform a few additional times in Cincinnati and this was our first time seeing them on our home turf as we missed a show in February. Tonight we got to the venue — South Park Tavern — in plenty of time to see the opening band – Method Air. They were solid and reminded Dr. J of a more primal version of Japandroids. The Ridges hit the stage ready and able to play. 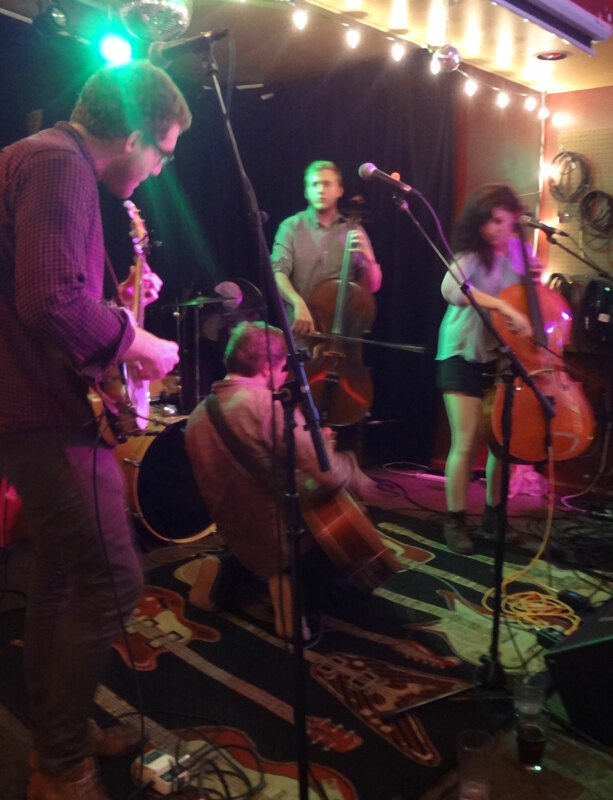 The double Cello attack was driving throughout the set. The fret work was nimble across an all too soon completed set. Talor Smith was captivating as she swayed and danced with her cello to the music that was being created before our eyes. She danced, sang, and played with feeling for the entire set. Chuck Poulsen contributed to the sound with a banjo that was played with precision and power. All too often the banjo becomes an overlooked instrument in far too many rock and roll bands. Not since Sweethearts of the Rodeo-era Byrds has a banjo player held their own as a lead instrument in a series of rock and roll songs. The stand-up bass was strong and steady throughout the set. Not since some Richard Thompson concerts, have we seen such a terrific command of the stand-up. The groove was centered when it needed to be and flexible and funky through the tempo changes of several Ridges’ songs. Kudos to the bass player for following arrangements that asked him to be able to move in different directions that served the songs and the band incredibly well this night. The backbone of the music this band made this night was the drummer. With a modest yet propulsive drum kit, the drumming was a critical part of The Ridges success tonight. Following key and tempo changes without sounding forced, wooden, or stodgy — the drummer was able to provide foundation for songs that veered from rock and roll to folk to orchestral arrangements. This was part of what made The Ridges a must watch performance tonight, incredibly complex yet fun and rocking stylistic flourishes that kept the audience rapt. Speaking of what held our attention – the center of the band’s aesthetic and performance tonight had to be the energetic guitar and vocals of Victor Rasgaitis. Rarely have we seen a lead singer and guitar player prance with such intensity and feeling without seeming propagandist. Victor was in fine authentic voice and the enthusiasm that he captured grabbed the audience members by the ears and the heart — and then made you feel in some small way, what he was feeling. It would be criminal not to note the terrific backing vocals of Talor Smith and Chuck Poulsen. They did more than simply fill open moments, they added additional heft and often very sweet harmonies to the vocal arrangements. In fact, several songs depended on the vocal harmonies that Victor, Talor, Chuck and the other band members sewed together. Victor was a consummate showman who never stayed still. He moved about the small space with a purpose and an energy that drew the audience into the performance. On more than one occasion, he found himself on his knees while continuing to sing. I know, I know… you are about to say how forced that sounds; but in the moment of the performance, you agreed with the movement. The song, the lyrics, the music required subservience in a way that only a moment of contrition can supply. You believed that he needed to be on his knees – that the deference to the song required it. There is much more that we could say about the feeling of excitement at seeing a band at the height of their ability, playing music that is as rock and roll if they had several electrical guitars and was instead the result of an acoustic guitar, stand-up bass, banjo, drums, and two cellos but honestly, you need to take some time to see The Ridges when the opportunity presents itself to you.